Thirty-four-year-old Judy Taylor relished her simple, happy life. She had a loving husband, three young daughters, and a beautiful home. But after intestinal blood clots annihilated her digestive system, Judy was left with the certainty of starving to death in a cold Toronto hospital. The year was 1970, and most doctors still considered long-term intravenous feeding to be science fiction. As a last resort, Judy's surgeons turned to a radical young immigrant doctor who had performed groundbreaking research on artificial feeding methods for humans. Together, Judy and Dr. Khursheed Jeejeebhoy agreed that Judy's only hope was to become a human test subject. For the next twenty years, Judy and Dr. "Jeej" worked to develop and hone the medical procedures for Total Parenteral Nutrition (TPN), which became the basis for modern intravenous feeding. With courage and determination, Judy raised her family and led a fulfilling life despite being the subject of experimental medicine. 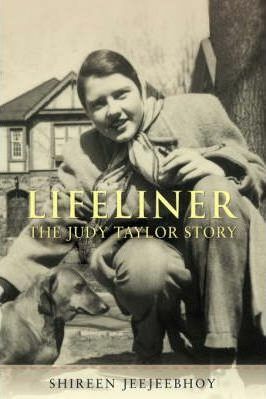 "Lifeliner" tells her inspiring true story and intimately reveals the miraculous link between science and the resilience of the human spirit.